As the battle against water charges hots up and a General Election comes into view the burning need for a new political voice for working class people grows greater than ever. With Labour’s sellout of working class people now total and complete many are investing some hope that Sinn Fein might make a difference. But growing numbers are becoming aware that Sinn Féin are implementing austerity in the North at the same time that they are serving up anti-austerity rhetoric here in the South. Many, too, are increasingly aware that Sinn Féin are pulling their anti-austerity punches, for example by refusing to call for mass non-payment of the hated water charge. To the left of Sinn Féin, we now see the emergence of a new force – the Anti-Austerity Alliance (AAA). The AAA was catapulted into mass public consciousness with the dramatic victory of Paul Murphy in the Dublin South West By-Election last October. Since then it is increasingly seen by ordinary people as the leadership of the militant wing of the anti-water charges movement. The decision of the Gardaí and most of the media to target the AAA over last November’s Jobstown protest shows that it is seen this way by the establishment too. The AAA stands for the abolition of the water charges and Irish Water; the abolition of the property tax; the immediate ending of austerity policies; the reversal of all cuts and penal taxes introduced under austerity governments and a tax policy which makes the rich pay for these radical measures. It also stands for a progressive social policy – for marriage equality, for repeal of the 8th Amendment and for abortion legislation which recognises a woman’s right to choose. 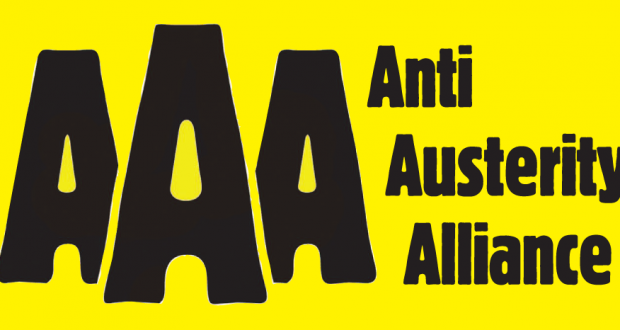 Having been launched by an alliance of the Socialist Party and non-party members of the Campaign Against Household and Water Charges who wished to make a stand against the austerity parties in the 2014 local elections, the AAA – barely two years old – now boasts three TDs, 14 councillors and a membership headed towards the 1000-mark. It is the fastest-growing Left organisation seen in Ireland in many years. The AAA is prepared to work alongside others fighting for mass non-payment of water charges to build a solid bloc of anti-charges and anti-austerity candidates to fight the next General Election. 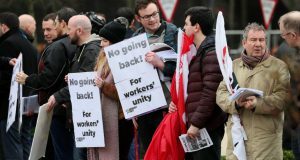 The AAA believes that such a bloc could win serious support at the ballot box, establish a strong presence in the next Dail and, in doing so, take an important step towards the formation of a new, mass working class party of the Left in this state. The Socialist Party played a key role in the establishment of the AAA. Currently the three AAA TDs – Joe Higgins, Ruth Coppinger and Paul Murphy – and nine of the AAA’s 14 councillors are members of the Socialist Party. The Socialist Party also plays an important political role within the AAA. As a socialist organisation we believe that austerity measures are rooted in the crisis of the capitalist system which puts profit before all else. We believe that ending austerity and implementing progressive policies needs to be linked to ending that system and replacing it with a democratic socialist society run by working class people. 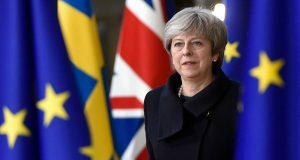 This analysis leads us to argue within the AAA for opposition to supporting coalition governments or minority governments within Dail Eireann which don’t break with the dictatorship of the capitalist market. This can become an important discussion within the AAA as the General Election draws nearer. It also makes us an important internationalist force within the AAA arguing for real support for working class struggles and forces which challenge capitalism internationally. Building the AAA and building the Socialist Party are complementary challenges. We urge all our supporters to join both to build the forces necessary to bring about real, socialist change in Irish society.